Lock in a great price for Residenza Kastrum – rated 9.5 by recent guests! Owner Claudia met us at the door. Very friendly and helpful. Gave us good orientation to the residence, roof top terrace, the neighborhood, and surrounding city. and for great restaurants. We also enjoyed the self serve breakfast that had meat, cheese, bread, pastries, juice, coffee, etc. All very fresh. Our room was large, clean, with comfortable bed, Good wifi. Great location. The room was cool , after being incredibly hot outside. The bed was very comfortable, the room was quiet. The location in Calgiari, was ideal. Perfect is the first Word to use about this wonderful Place. The staff was excellent, the location was breathless, the room was a five star experience. The roof terrace was the best Place I have experienced in any hotel ever. Michele, the owner was dooing everything for his guests to feel welcome and comfortable. He is so dedicated and a wonderful person! This is a very small hotel With few rooms, that made everything even more special. 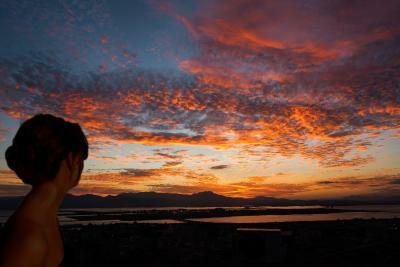 Next time in Cagliari I will be back for sure. This Place is a number 1 hit! Don't miss it if you go to Cagliari. An accomodation with a beautyfull view. Very spacious room. good breakfast, very clean and cosy room, great location, marvelous view from the roof terrace, helpful and freindly staff, big room. 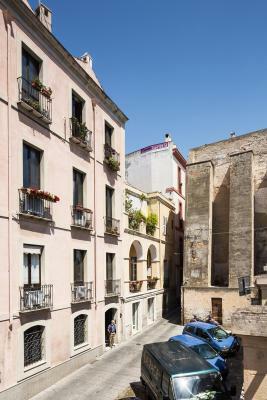 Location is great - in the heart of historical quarter, almost on the very top of the hill. Marvelous view from the roof terrace (accessible all the time). Very friendly and helpful staff. Big room with a lot of space. Silent neighborhood. The room is cleaned every day. Climate of old times. Very tasty breakfasts, although monotonous. We had a wonderful time in " Residenza Kastrum". Stuff was really helpful and very nice. We had no problem when speaking english|(which was an issue in other parts of Sardine. We were able to leave our luggage after we left room and came back for luggage in the evening. Very useful option when having plane late. 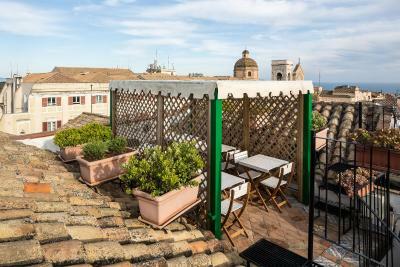 Futhermore you can have a breakfast on the roof having view to the bay and all Cagliary. If I am back in Sardine I am definetly coming back to " Residenza Kastrum". Location. Elegant room design. Wonderful bathroom. Nice top roof terrace wit amazing views. Room was very spacious and cozy with a nice bathroom. Views from the room were excellent. 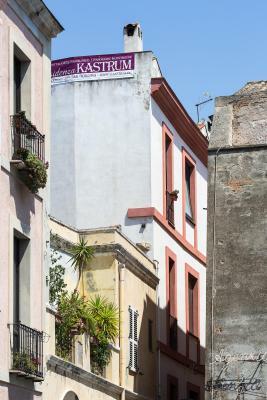 One of our top picks in Cagliari.Located in Cagliari’s Castello quarter, Residenza Kastrum offers free Wi-Fi and traditionally furnished accommodations with a private bathroom. 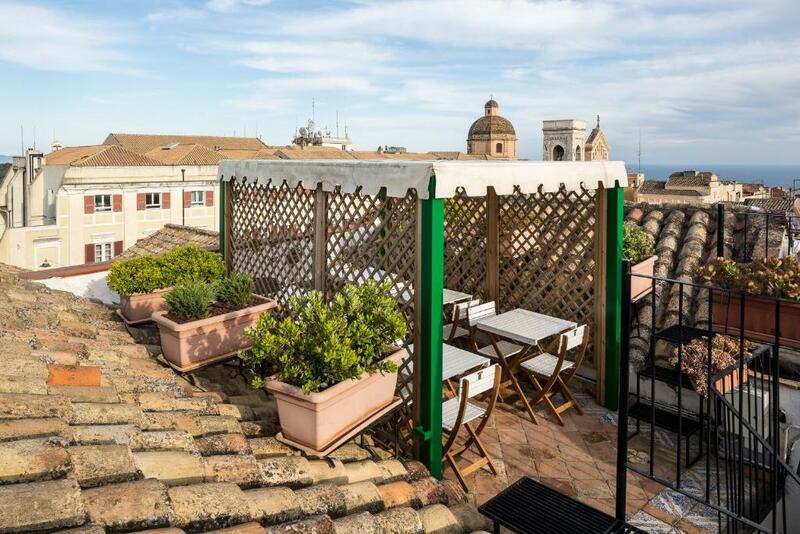 A shared rooftop terrace with views of the sea, Cagliari Cathedral and Poetto Beach is available. 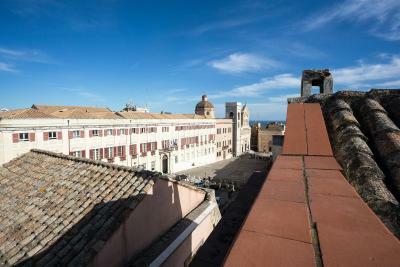 Rooms at the Kastrum come with air conditioning, and some feature views of the Tyrrhenian Sea. Breakfast ingredients for a self-service sweet breakfast are provided daily. It can be enjoyed on the sea-view terrace in fine weather. 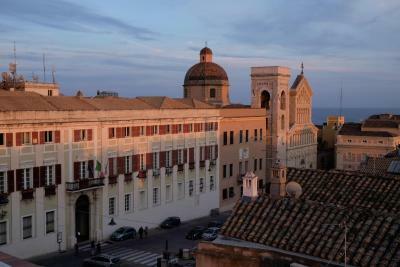 Cagliari Cathedral is 500 feet from the property. 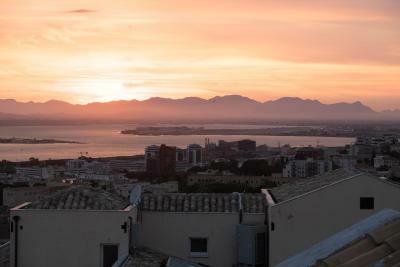 Cagliari Port is a 15-minute walk away. 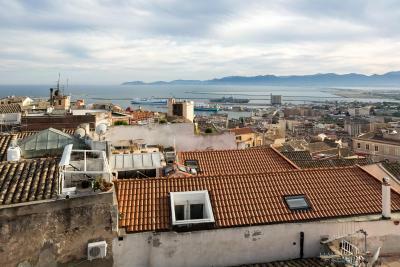 뀐 Located in the real heart of Cagliari, this property has an excellent location score of 9.7! 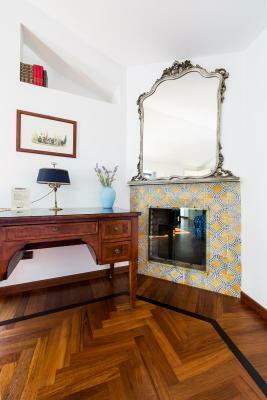 When would you like to stay at Residenza Kastrum? 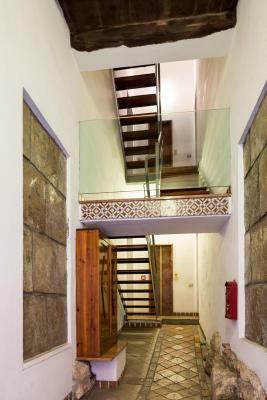 Traditionally furnished accommodations with free WiFi, a private bathroom and air conditioning. Some units can accommodate an extra bed. 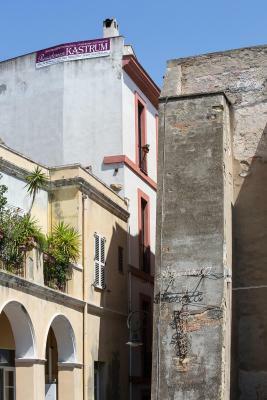 Traditionally furnished accommodations with views of the Tyrrhenian Sea, suite features a living room equipped with a flat-screen satellite TV with internet access. A private bathroom comes with a bathtub and offers direct access to a terrace. Residenza Kastrum is opened since 2006, and i'm managing by my own since 2009. Is the last floor panoramic flat, completely renew at the beginning of the '90. 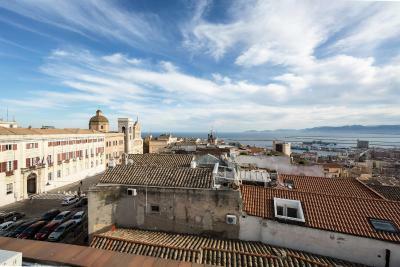 Cagliari’s old town is a mix of ancient churches, towers, and palaces. 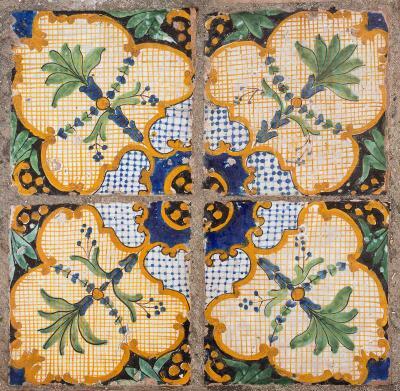 Enclosed by the old city walls, it’s a treasure chest of museums home to medieval jewelry and Roman and Phoenician artifacts. House Rules Residenza Kastrum takes special requests – add in the next step! ATM card Residenza Kastrum accepts these cards and reserves the right to temporarily hold an amount prior to arrival. Residenza Kastrum accepts these cards and reserves the right to temporarily hold an amount prior to arrival. Please note the property has no reception. Therefore you are kindly asked to always let the property know your expected arrival time in advance. You can use the Special Requests box when booking or contact the property. A surcharge of € 5 per hour of lateness applies for arrivals between 21 and 24. All requests for late arrival are subject to confirmation by the property. Please inform Residenza Kastrum of your expected arrival time in advance. You can use the Special Requests box when booking, or contact the property directly using the contact details in your confirmation. Continental breakfast - typical for Italy and other southern countries, but I used to have more varied menu (I missed some vegetables). The meal was good and fresh, but everyday the same. Wi-fi practically does not work. Sound isolation from corridor is poor - one can hear every step outside the room and vice versa. 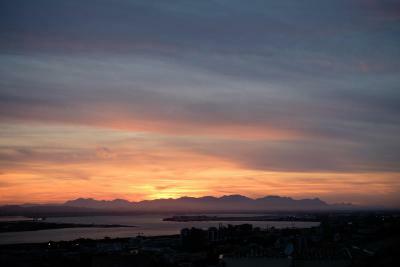 The best view from the rooftop terrace in Cagliari. Highly recommended. Breakfast area space a bit limited. 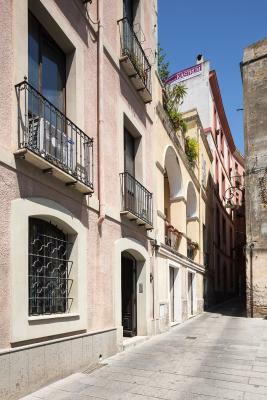 The residence is quite central however being at the Castello District (the highest point in Cagliari), one has to go uphill returning back. Spacious room with TV area and comfortable bed. Wifi all around the residence. Michele was very friendly. He explained how to go about and gave us useful tips and suggestions. 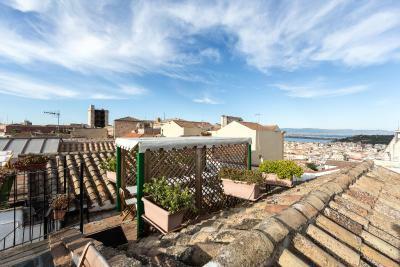 Nice rooftop area with breath-taking views of the Cagliari skyline. 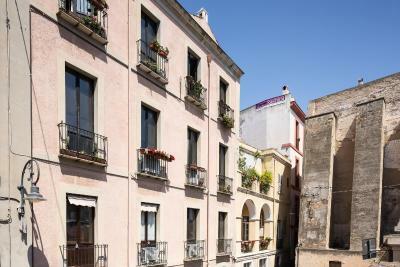 Stunning accommodation with amazing roof terrace in the city center.